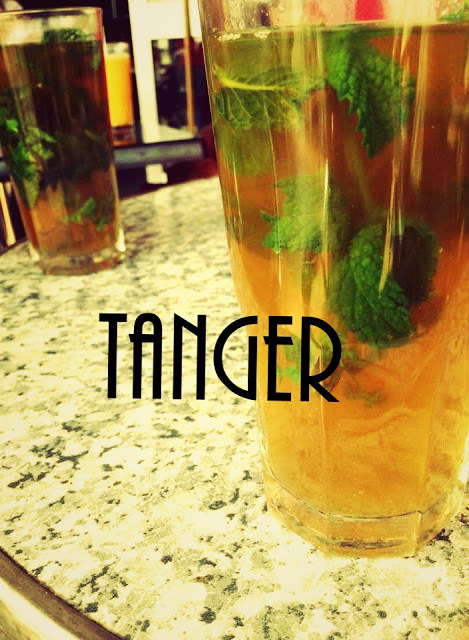 Tea time - Les Voyages de Mrs O.: When I went to Morocco. When I went to Morocco. When I first came to Madrid, I only wanted two things : learn Spanish and get to know Spain, travel around like I had been doing during my time in England. The learning Spanish part is still in process but going quite well but when it comes to traveling, I have done a lot thanks to a young and dynamic company called BeMadrid. They took me everywhere from Cuenca to Granada, from Valencia to Avila. I knew they were reliable and also, their prices were often the best on the market. 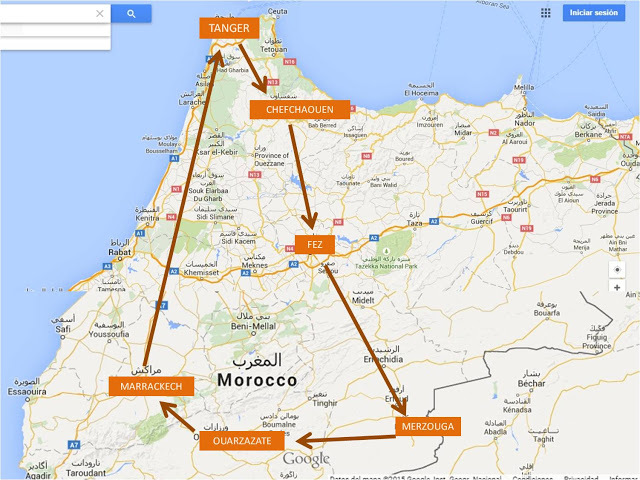 This is how I decided to sign up for a trip to Morocco last summer. All I wanted were five beautiful exotic days on a new continent. And I got what I was hoping for and more. I made friends, I experienced a new culture, I had fun and I remained speechless more than once facing these outstanding Moroccan views... I was back in France for the summer at the time and I flew to Madrid with Ryanair to attend the trip and still it was cheaper than trying to go on my own. We left Madrid at 20.30 a Thursday evening and we had a full schedule which did not seem possible to achieve in five days, but it actually was ! 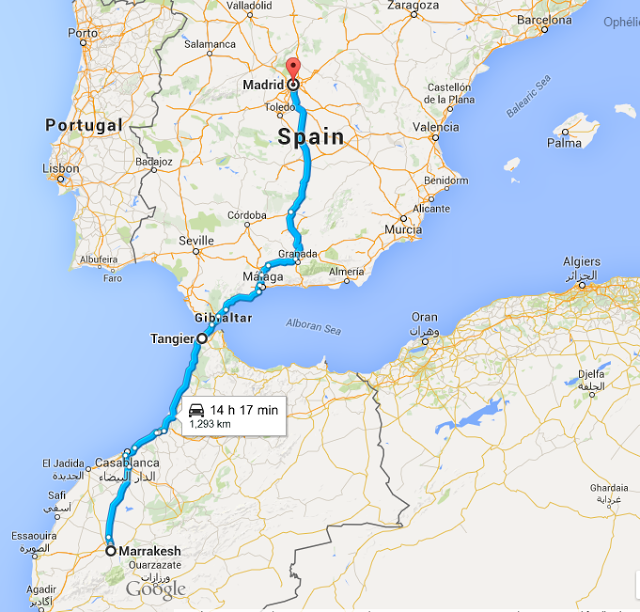 We drove all night from Madrid to Algeciras from where we got on the ferry at 6am. When the sun rose, we were in Tanger, Morocco. Unfortunetly we did not see much of Tanger but it didn't seem like there was much to see anyway. We had tea and breakfast there, and also got some time to change our euros to dirhams! 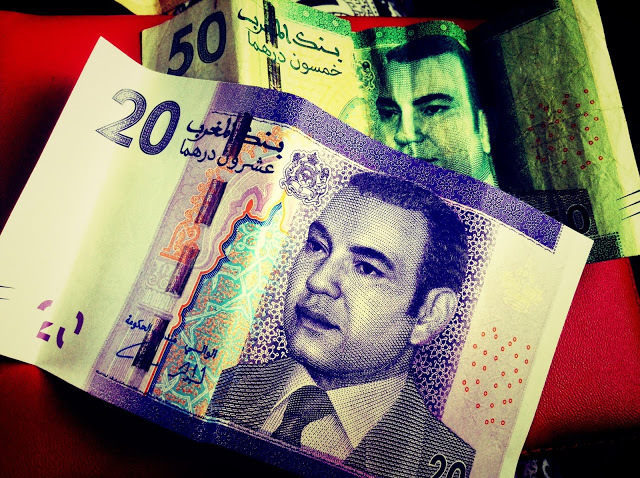 I've always had a thing for foreign currencies, you should have seen my face. Life is quite cheap in Morocco except when they try to rip tourists off which is basically what they sometimes have to do to earn a little bit of money ! Then I kind of fell asleep on the bus only to be awakened by our guide, Jesus, telling us to get up quickly. 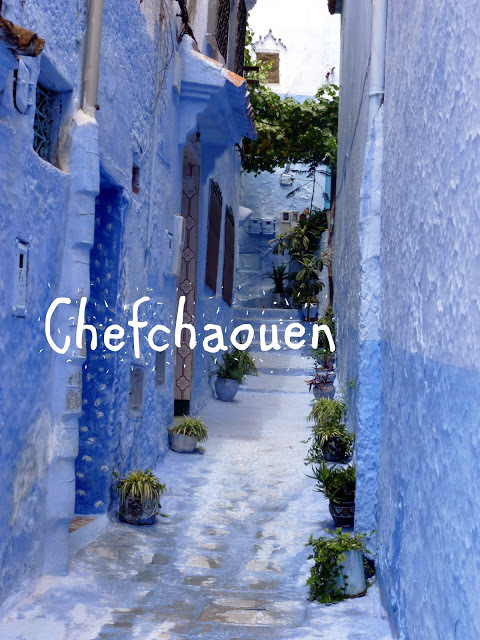 We had reached our first real destination and it was Chefchaouen, the blue town ! I am not going to lie, I was still a bit sleepy and it did feel like a dream to me. Everything was so different, so beautiful, so typical! It was probably the best way ever to start our stay. Apparently there is no real explanation for the blue colour which is everywhere. It is a colour that is very easy to find in that region and women only paint the houses as a tradition. The result is breathtaking. 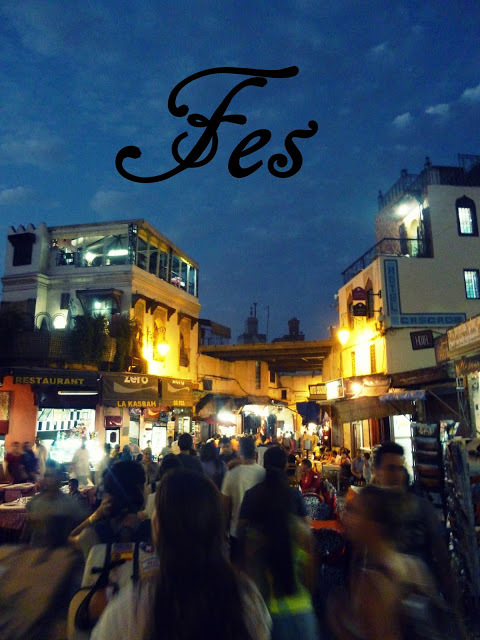 After that, we got to Fez a bit after sunset and we had time to have a night walk in town before having dinner in a restaurant where traditional shows are organised such as belly dancing or Moroccan music. The food was great but after traveling for so long, all I wanted was a nice bed and a shower. Which is exactly what happened next. In the morning, we left for Merzouga, a small town in the Sahara desert. It took us nine hours to get there but you can't get tired of looking at the changing landscapes through the windows. We even stopped by the side of the road to take a look at monkeys which were just sitting there, It really felt like Africa. 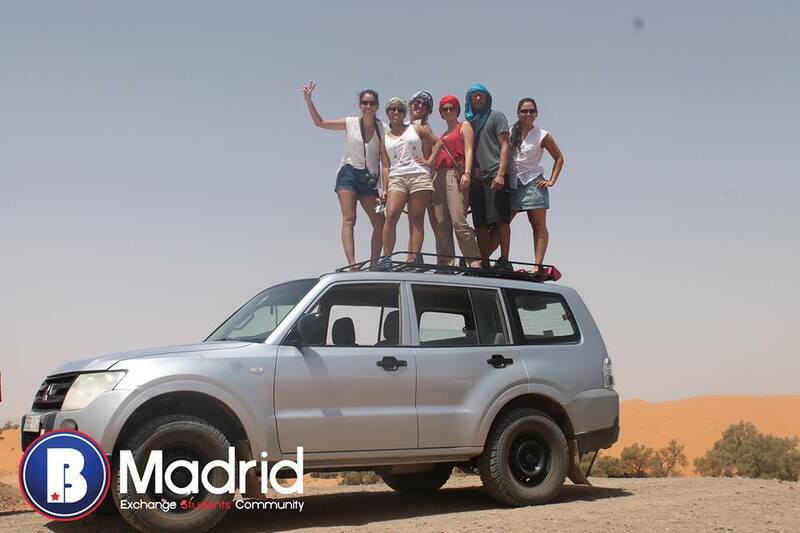 Then we got to Merzouga which was everything you could dream of and more. The hotel was in fact a huge living room full of armchairs and sofas, tea was served at all time and surprise! there was a huge pool right in front of the Sahara dunes. Later on we went on a camel ride with the Berbers. The next morning, after a night of partying around the pool and sleeping in typical jaimas, we had time to enjoy the pool and then we went on a special 4x4 ride... We actually got to climb on the roof and as unsteady as it was, it was also crazy and lovely and great ! There is nothing like this experience. The desert sure is a mysterious place. At night we reached our last destination of the week, which was a bit sad but still we had to enjoy every minute of it so we did. Marrakech, about which people often say horrible things was actually a very good experience. The souk calls up all your senses at once and you will feel overwhelmed by the mix of smells and noises put together with the colours and accumulation of jewelry, souvenirs, food and spices. I was told people were pushy and rude and I did not meet one person who fit that description. I loved it. I mean all of it. When we had to leave it was actually quite sad, I wish I could have stayed a bit longer. This trip was definitely one of the best I had ever taken and it made me meet people who I saw as strangers when we got on the bus in Madrid and as friends when we got off that bus to say goodbye after that wonderful adventure.